Mokadi has over 25 years’ experience as a senior business leader. He is passionate about business leadership, corporate governance and customer service. Mokadi is the founder of Mathye and Ditlou Dynasty Corporate Consultants (MmDdCc) which is LeaderShape Global’s partner in South Africa. . It was founded in 2007 to harness his entrepreneurship and behavioural skills to support Southern African organisations in both the private and public sectors. Mokadi’s first degree was a Bachelor of Technology in Business Administration from Wits Technikon (now University of Johannesburg). He is also a graduate of the School of Business Leadership (SBL), University of South Africa (UNISA) where he holds a Master’s degree in Business Leadership. In addition, he graduated from the University of Pretoria, where he gained a Master of Philosophy and Master of Arts degrees. In addition, he has received a Diploma in Production Management and an Advanced Diploma for Production Managers from the Production Management Institute in South Africa (PMI). Previously he trained in Communication and Inter-Personal Skills, Achievement Motivation and Personal Development to sharpen his business acumen and emotional intelligence awareness. He has also completed programmes in Financial and Accounting Principles for Public Entities from UNISA and Finance and Accounting (CPFA) from Wits Business School (WBS) and a Professional Business Coaching Programme from Gordon Institute of Business Science (University of Pretoria). Mokadi has been a member of the Institute of Directors in Southern Africa (IODSA) since 2003 and a Fellow since 2010. 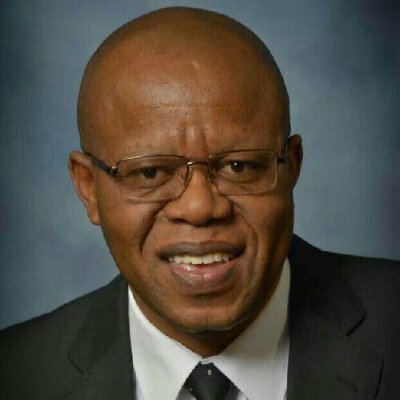 He is also a member of a range of professional bodies including: the Coaches & Mentors of South Africa (COMENSA), a Global Member of International Coach Federation (ICF), Professional Member of Society of Emotional Intelligence (SoEI) and Affiliate Member of Worldwide Association of Business Coaches™ (WABC™). Mokadi contributes to the social community by volunteering in the Self-Supporting Ministry of the Evangelical Lutheran Church in Southern Africa (ELCSA) and Chaplaincy of the Youth League, Young Adults League and Prayer Women Fellowship. He also served as a Diakonia Programme Coordinator of the Lutheran Communion in Southern Africa (a member of Lutheran World Federation) in ten countries in Africa which encompassed the call to serve and contribute to citizenship coaching for the less fortunate. Until recently he was the Chief Executive Officer of Food and Beverages Manufacturing Sector Education and Training Authority (FoodBev SETA). Previously Mokadi has been a senior executive in large national and multinational corporations in the private sector. These include Rapid Allweiler Pumps and Engineering, Aesseal Mechanical Seals and Steloy Engineering, both as an Executive and Non-Executive Director. Mokadi has served in the Banking Industry as a member of Risk/ Audit Committee and as an Independent Non-Executive Director of Eyomhlaba Investments Holdings Limited. He has also served in the Higher Education sector as an assessor in Strategic Management for Post Graduate Students at UNISA.